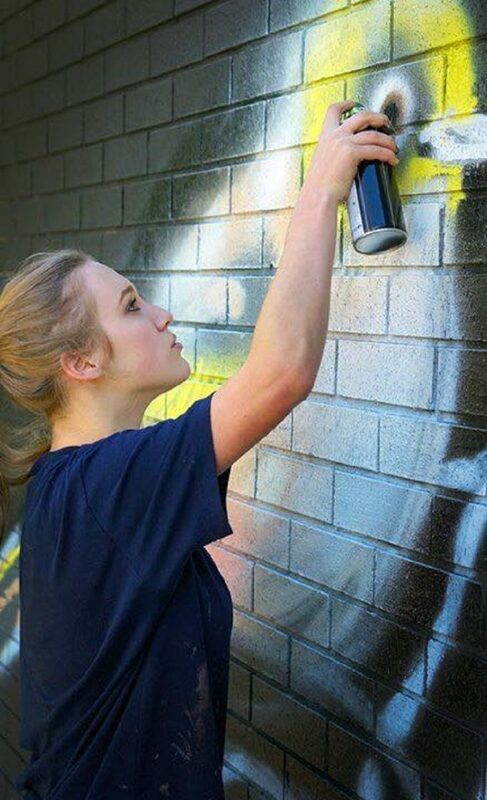 At age 18, Faith Kerehona is Canberra’s own super talented street art prodigy. 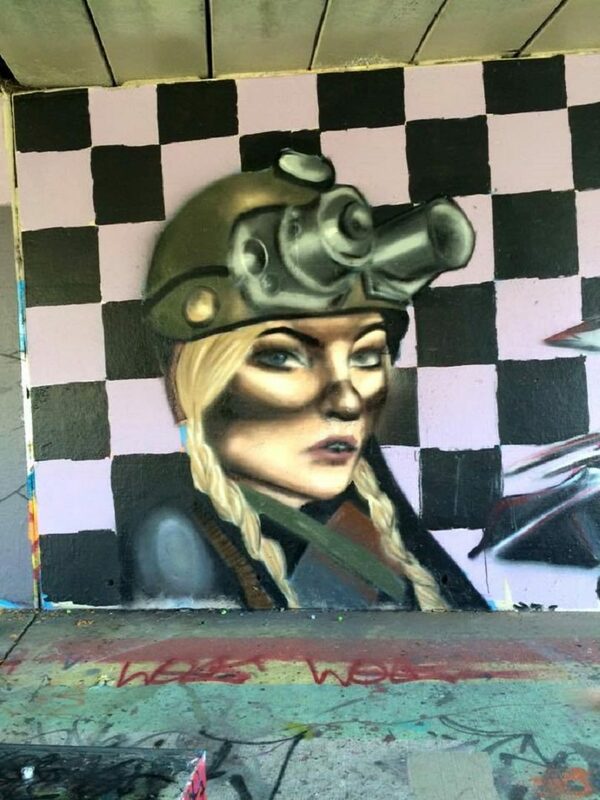 Since the age of 14, Faith has showcased her talent on many a street wall in several parts of Canberra. 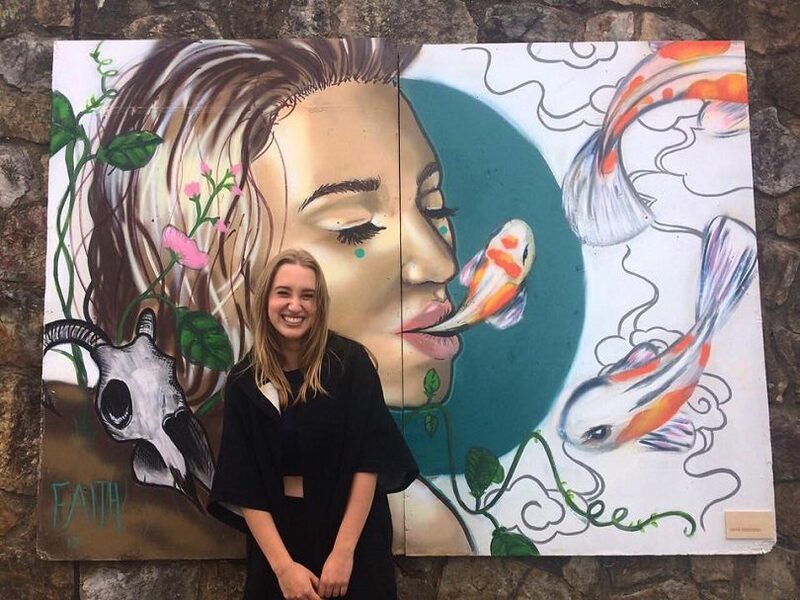 With many of her thought-provoking works of art that utilise a fine arts approach towards street art, Faith’s colourful murals result in a contemporary depiction of issues surrounding environmentalism, race, gender, consumerism and more. 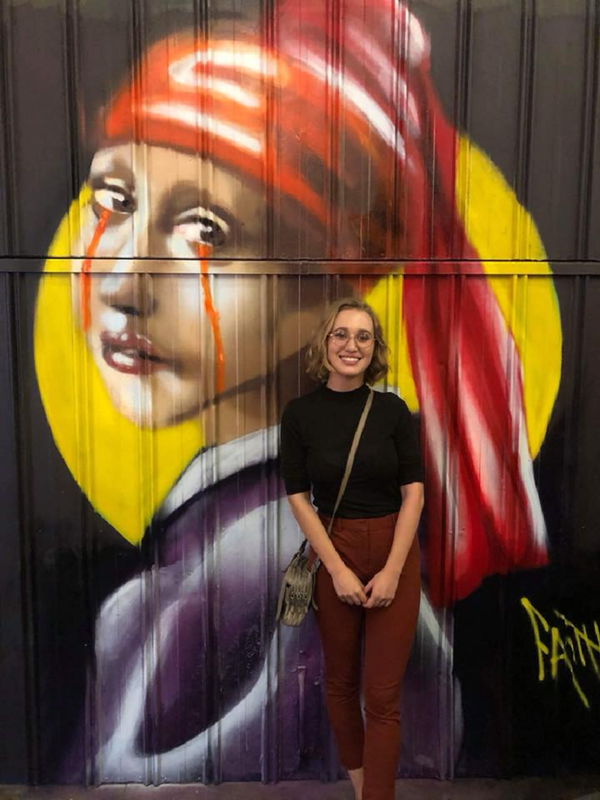 We caught up with Faith to get more insight into her work. RA: What inspired your career in art? FK: My career in art started as a decision. When I was about 14 I decided that creative expression was one of the only things that make me feel truly happy, understood and seen in the world and I wanted to become an artist. A lot of artists start out with this mentality that they simply want to ‘make it’, but as I grew older I realised that this goal wasn’t realistic because I had not established my own definitions of ‘making it’. My career in art truly began as an accumulation of achieving small goals; for example, being a part of an exhibition, or doing my first three-metre mural, then a ten-metre mural, then collaborating with other artists in an art festival. 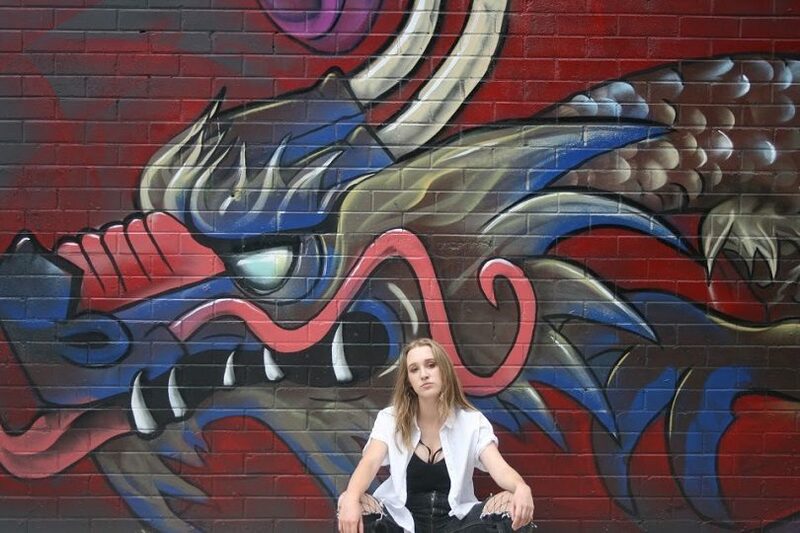 I also started developing an interest in street art when I was 14 and quickly fell in love with spray-painting. It offered seemingly insurmountable challenges to my artistic practice and I am always fiercely satisfied when I achieve something I thought previously impossible for myself. RA: What meaning do you aim to communicate through your art? FK: The meaning of my art shifts from piece to piece and is usually reflective of my current outlook and concerns in life. A lot of my art in the past has been reflective of developing skill, construction of self, and strengthening my concepts. One good thing about recording your artistic practice from a young age means you can see how your art truly reflects your sentiments and values in life as you grow. Currently, due to my studies in sociology, environmentalism and painting, a lot of my previous values and perceptions of both the world and my art have been thrown out the window. 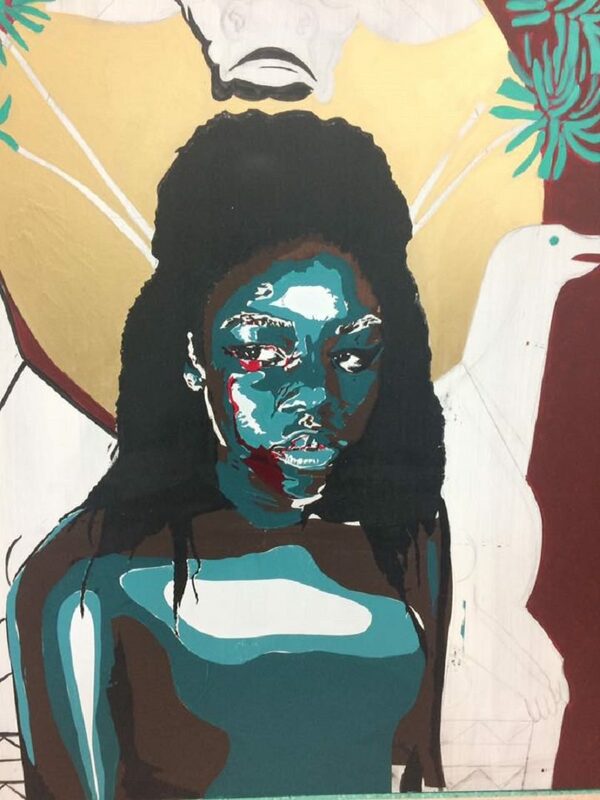 I’m currently reconstructing my artistic practice and reviewing the effectiveness of expressing my opinion towards racism, poverty, equity, the environment, consumerism and social construction. RA: How would you describe your style of art? FK: The best way I could describe my style in street art would be bringing fine art values of tone, composition and colour into an urban setting. I enjoy the disconnect between how people will value an artwork based on its setting. In a gallery setting, I watch people revere my pieces, analyse them, and draw their own beliefs about my works. On the street, my work may get a glance or a photo, but over time, it blends into the background. People will start to tag over my pieces, and eventually, it may be completely defaced. I find it fascinating that the surface of a painting changes its worthiness of preservation. Nevertheless, despite its impermanence, I continue to put as much time and reverence into the pieces I create on the street as I would for a gallery. The messages in my art must reach everyone and not only those who can afford the luxury of attending an exhibition. RA: What tools do you work with to create your work? 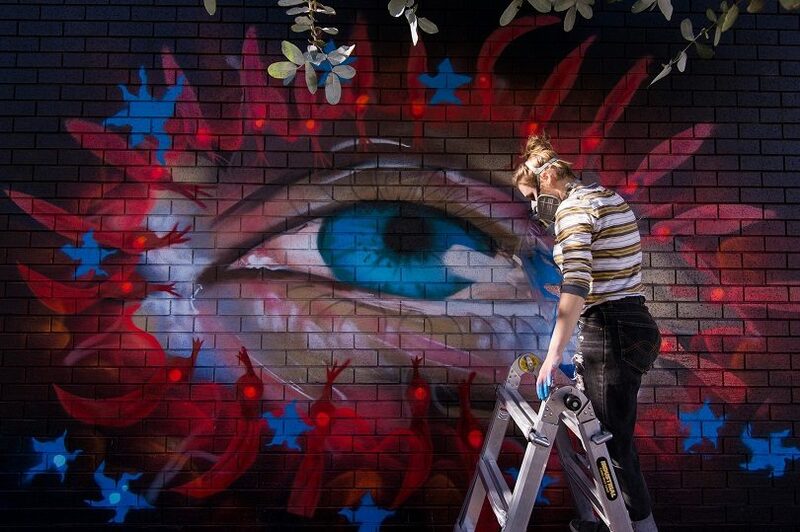 FK: I am always trying new mediums, but I mainly work with spray-paint and house paint for my murals. RA: Talk about your favourite piece, why you love it and the process behind it. FK: My favourite artwork is the one I’ll create tomorrow. This is my motto in my art and it allows me to be directive and remain humble and pragmatic. Nevertheless, I do have a favourite. My favourite artwork to date has to be a workshop I organised for International Women’s Day. 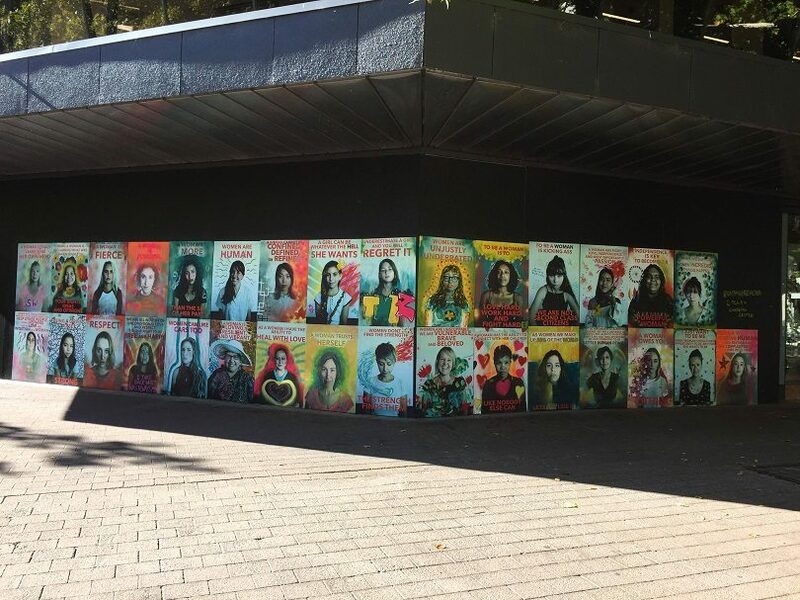 For this project, I took photos of 30 women and presented to them a simple question: “What does it mean to be a woman?” The responses were vast, passionate and extraordinarily heartfelt. I edited their quotes over their portrait, printed out large posters, and hosted a workshop where I taught them painting and spray-painting techniques. 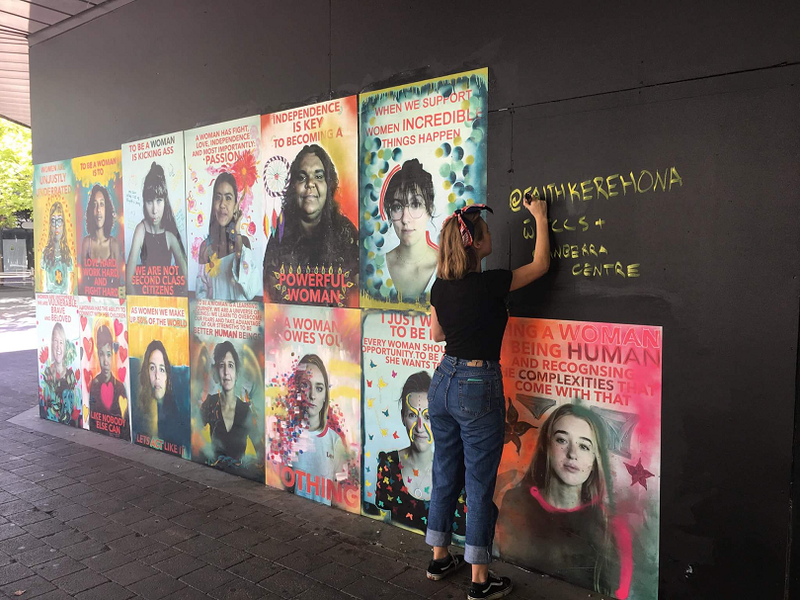 We then pasted the posters up in Garema Place on a 10-metre wall. The audience response from that artwork was powerful. I am still receiving messages from women who were moved by that piece. I think the reason this is my favourite piece is because I figured out how to capture the passion and power of women in a raw, honest and unapologetic way. RA: Where can people find your pieces? 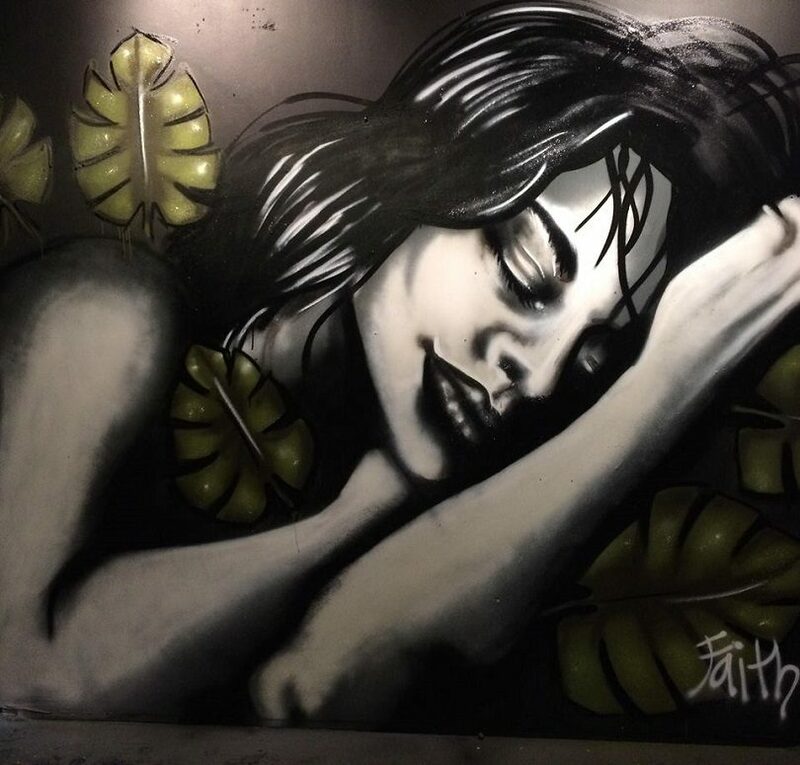 FK: My pieces are scattered around the city, some have been destroyed, defaced or covered, and some still stand. When looking out for my pieces people should look for my name “Faith”. It was a pleasure having this interview RIOT ACT! Thankyou for being a diligent supporter of the Canberra community, including the arts.